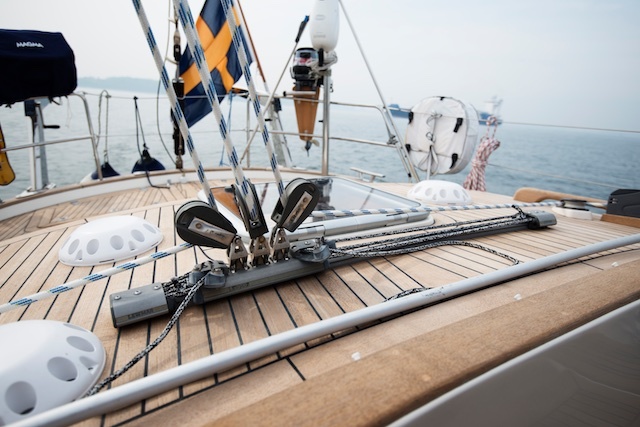 New Hallberg-Rassy’s are being supplied with a new type of ventilators, called AirOnly. Their idea is to let air into the boat, but no water. The old type of Electrolux vents or the Vetus vents used on the foredeck by Hallberg-Rassy before did let in both – air and water. Some even plugged the hole on the fore deck entirely thinking neither was better than both. One can add that the Electrolux ventilation was originally designed for caravans where the occasional rain was the major water they ever saw and the fact that you were driving in some 100 km/h you would constantly having a gale passing the vent, giving enough air into the caravan. On a boat, the Electrolux vent was less unsuitable and beware of forgetting to close it from the inside, or your forepeak would become soaking wet as soon as the first wave hit over the bow. Today there is the alternative of the AirOnly vent, but I often get the question if these should replace all vents, also the Dorades on the coach roof, as Hallberg-Rassy does today. My answer to that is yes and now, depending on where you sail. The white AirOnly vents that can be seen on new HR’s are actually made in Malta, which makes me a bit proud of them. 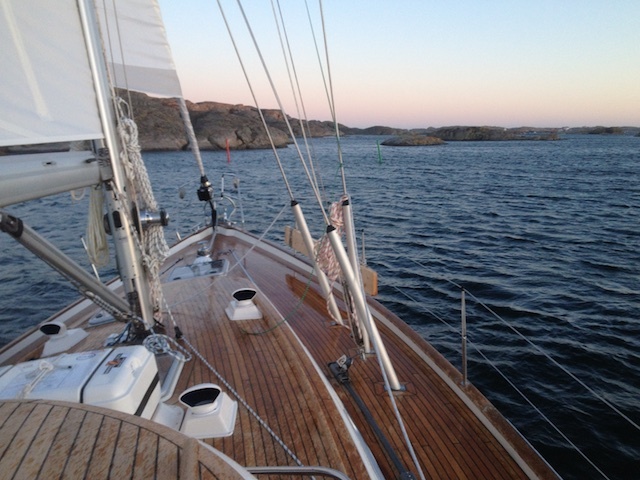 They are cheaper than the traditional Dorades Hallberg-Rassy have been using before, and act a bit differently. You can add that the AirOnly vents can be bought in black if preferred or even with a Dorade-looking top, so it looks more classic. This Dorade-looking top is just cosmetic, since the standard AirOnly vent is inside. In order to test the difference, I have both on my HR46 Regina Laska. I have one Malta-Vents on foredeck and three on the aft coach roof (two leading into the aft cabin and one additional new one leading into the aft toilet, which otherwise would not have any ventilation other than through the opening window/porthole). 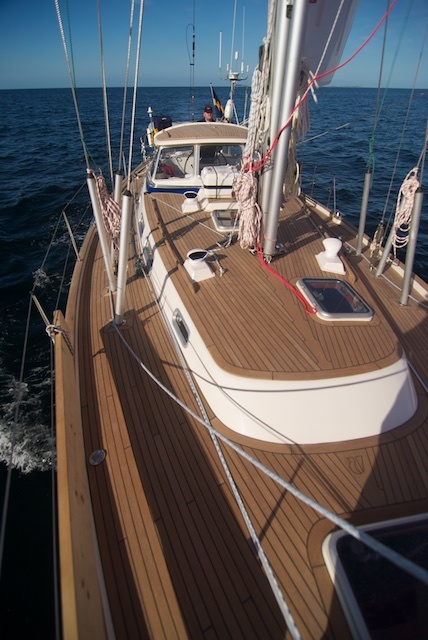 I chose the AirOnly on foredeck since I wanted to take advantage of the fact that it is water proof. Further, I placed them on the aft deck coach roof, since I wanted to avoid that the main sheet gets tangled into the dorade. Since you can step onto the MaltaVents, I wanted to be able to walk more freely on the aft cabin roof. On the salon coach roof I still have the four traditional Dorade vents. Let me first confirm that the AirOnly from Malta really deliver what they promise: Absolute water tightness. I have had plenty of green water on fore deck and not a drop into the fore peak. Having said that, you can close it from the inside to be on the safe side. Another positive thing (further to less cost, you can step onto it and that it is watertight) is that it lets air enter into the boat from all directions, irrespectively of the wind direction. 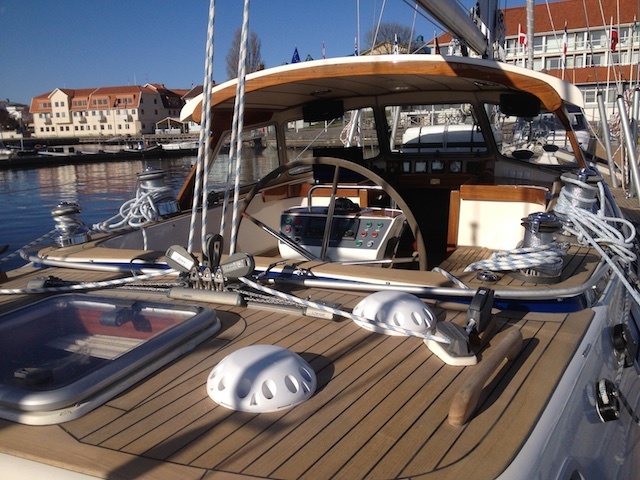 On the salon coachroof, over the side cabin and the forward head, I use the tradtional dorades. The dorades on the coach roof have some considerable advantages. In first place, yes, they do allow considerably more air to enter with its funnel-type shape and the single big hole. For hot climates, it is really good, especially on the new boats where it no longer is possible to open the side windows. 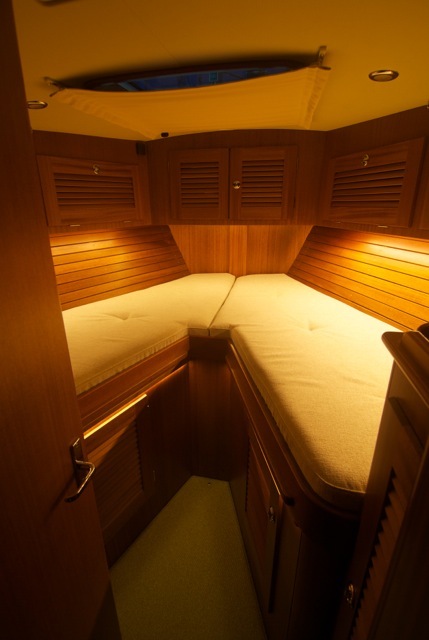 So, on newer HR boats, the ventilation is limited in two ways compared to older HR’s. Not only are the windows no longer openable, but the dorades have been replaced by AirOnly. Another advantage of the dorades is that you can choose whether you want air to enter or air to exit, depending on how you turn them. For Scandinavian temperatures, however, one sometimes thinks that the dorades allow almost too much (cold) air to enter. But to me, you can never have too much ventilation. To sum up: I really, love my constellation. 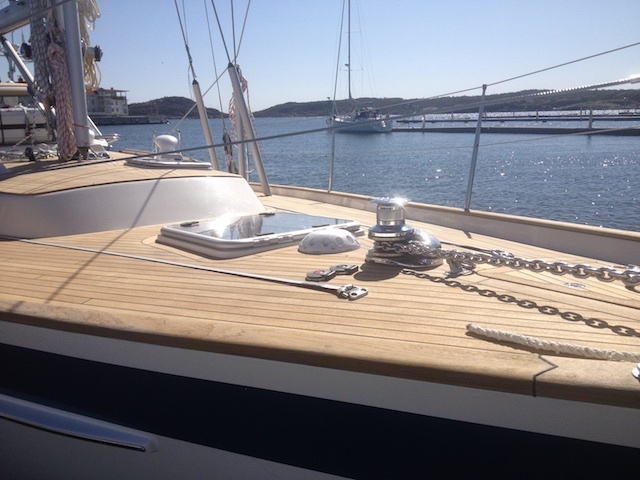 I can really recommend AirOnly on foredeck. On the aft coach roof, I like that you can step on them and that they don’t interfere with the sheets. On the coachroof, however, I am very happy about my dorades, giving max ventilation. For others, the amount of air entering through the AirOnly is enough, even on the coach roof.